OurEnergyPolicy.org | Another Oil-Related Recession? Are the United States and other countries facing a looming threat of another oil-related recession? Prior to the economic crash in 2008 the price of oil steadily increased. As the world margin between supply and world demand approached zero, oil prices rose. When this margin went to zero, oil prices hit $147/barrel and the recession began. Unlike many politically initiated oil recessions of the past, a major recession trigger in 2008 was a “physically” initiated event — the disappearance of the margin between world supply and demand. Physically initiated oil recessions do not have the post-peak, national, debt-free “stimulus package” of low oil prices, and so high unemployment lingers. The International Energy Agency now forecasts a global demand of 90.7 mb/d for 2013 and global supplies in January 2013 fell to 90.8 mb/d. Gasoline prices are again rising at the pump. Are we repeating the run up on oil prices we saw in 2008? 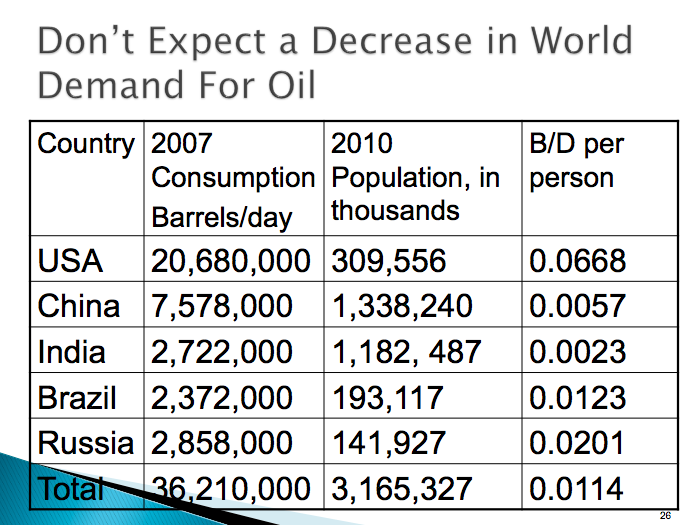 Do you agree with this assessment of world oil supply and demand? Is it possible for the U.S. to shield itself from the effects associated with the oil supply and demand margin approaching zero? 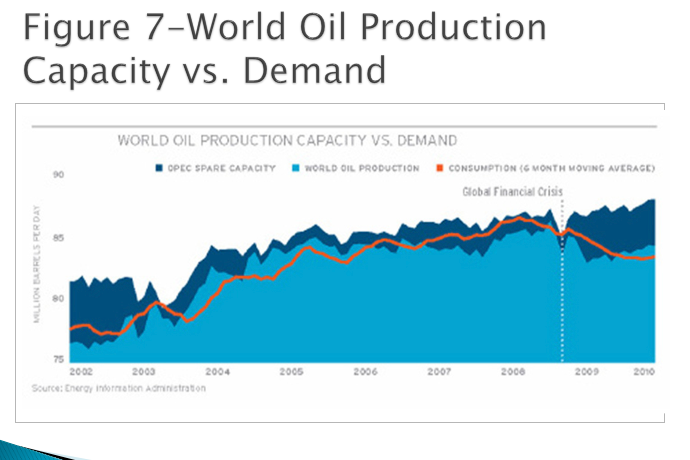 Do you agree with this assessment of world oil supply and demand? 3 Responses to Another Oil-Related Recession? The spike in oil prices in 2008, followed by an equally precipitous crash, was more of a symptom than a cause of a broader debacle in global financial systems. Various studies of the cause of that year’s oil price boom attribute it mostly to a burst of speculative futures trading — itself fed by one of multiple system failures of financial regulation. Among the factors driving the rise in oil and other commodity prices were low interest rates and a flight of investor capital away from bonds and a collapsing real estate bubble into tangible assets. There has since been some reform of financial systems and regulation, but the job remains incomplete. The euro remains fragile. “Too big too fail” financial institutions have become even bigger. The US government is stymied in reforming its fiscal management by political breakdown. The fundamental problem in the trading of commodity futures remains largely unresolved: Whereas in the past futures contracts were tied to actual purchase and delivery of real commodities, including oil, they increasingly have become used purely as financial instruments for speculative trading. Market conditions also have changed significantly since 2008. Demand in world oil markets has been tempered by increased domestic production of oil and gas in the US, recession in Europe, and cooling of the Chinese economy, among other things. Demand has increased some in Japan as a result of the decision to mothball nuclear power plants in the wake of the Fukushima disaster. Meanwhile, supply has been constrained by sanctions on Iran and political turmoil in Libya and elsewhere in the Middle East and North Africa. Unilateral decisions by Saudi Arabia to increase or decrease production has a significant influence on overall supply and prices. Economic booms and busts are caused by human perceptions, attitudes, and behaviors. Physical conditions may be among a myriad of factors that influence the latter, and thus indirectly, economic performance. The premise of the question above is thus dubious. 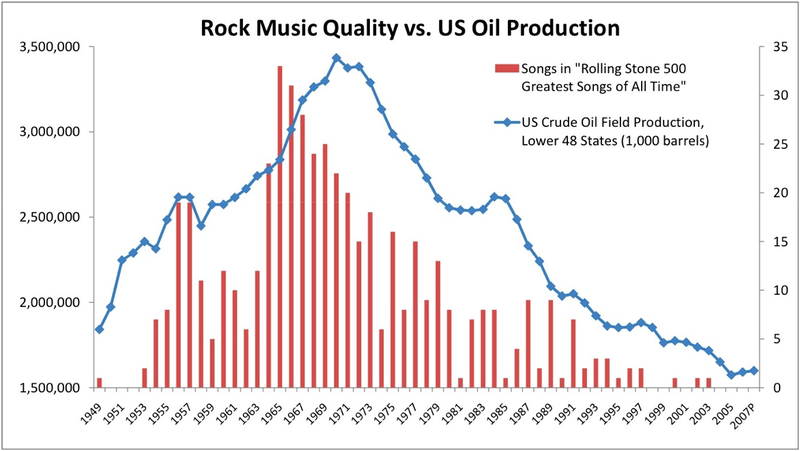 “Physical” limitations of oil supply had little or nothing to do with the cause of the Great Recession. Europe is mostly already in recession, for reasons having far more to do with the EU’s monetary and other economic policies than the availability of oil or other commodities. If the recession spreads to the US and/or other countries it also is far more likely to be because of social conditions than physical ones. I thank Dr.Perelmann for his comments on “Another Oil-Related Recession”. I believe we are viewing the impact of oil from two different time frames. I have no doubt that the various regulatory, economic, and political issues of the day have caused and will cause oil prices to fluctuate. However I believe that the world energy picture over a longer time period has fundamentally changed, particularly with regard to oil, and that must also be recognized. Based on studies conducted by the Oak Ridge National Laboratory (ORNL) major oil shocks have disrupted world energy markets five times since 1973. ORNL has concluded that “ Most of the oil shocks were followed by economic recessions in the United States.” The profound influence of oil prices on our economy can be further appreciated by examining the impact of oil prices on our trade deficit and on employment. Credit for these analyses goes to WTRG Economics. 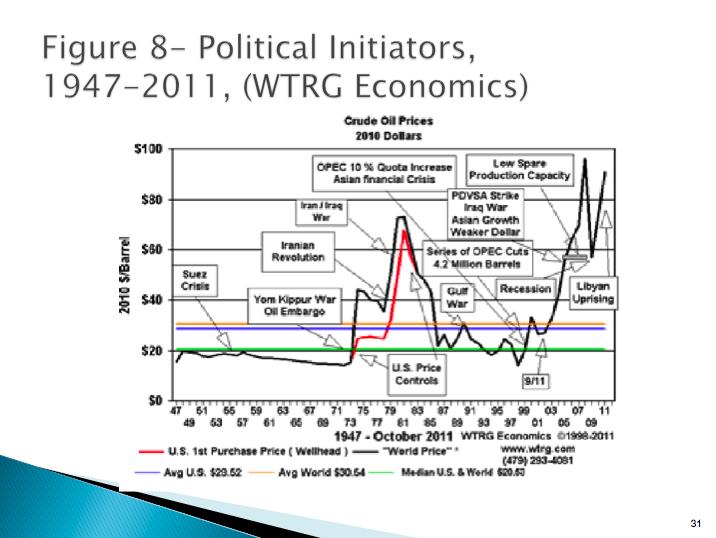 One of the most interesting analyses performed by WTRG is shown in the figure below, where the political initiators from 1947 to 2011 are correlated to oil prices. In the past these oil –related recessions followed a similar pattern. There was a run-up on oil prices, often for political reasons, until they reached a peak cost. High oil prices, particularly for the United States with its huge consumption of oil, much of which is imported, has a profound effect. For example, at a consumption rate of 19 million barrels a day, each one dollar increase in the price of oil would cost the nation about $6.9 billion dollars per year. 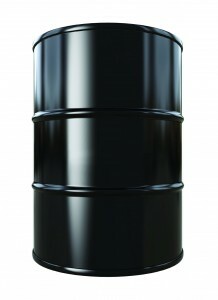 [The whole sequester fiasco is equivalent to a price increase of $11.6 dollars per barrel]. So when oil prices were high, the nation went into recession. But that is just the left side of the curve. When the US and other nations went into recession, demand for oil dropped, putting pressure on the oil exporting countries to drop prices. This, of course, hurt the high cost oil producers more than a country like Saudi Arabia which has a very low cost of production per barrel of oil. 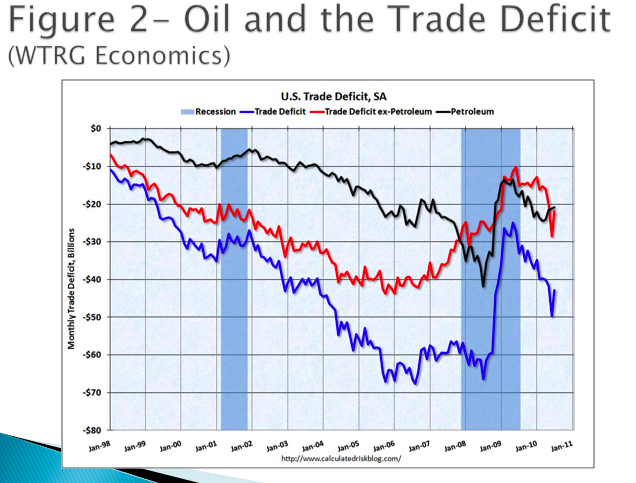 The drop in demand led to much lower oil prices and now we had the opposite effect. Low oil prices, again particularly for such an oil consuming nation like the US, acted like a large stimulus program…but one that did not add any increase in our national debt. As the economy became more economically viable, the demand for oil increased again, setting the stage for another oil shock, again often for political reasons, including financial mismanagement. However the driving forces behind this boom and bust cycle were beginning to change. First there were fundamental changes within the oil suppliers. Many suppliers in OPEC were unable to increase their oil production, even when oil prices were quite high. Their oil fields were getting old. The other big change was the rapidly growing demand for oil, particularly from China, India, and to a lesser extent from Brazil. 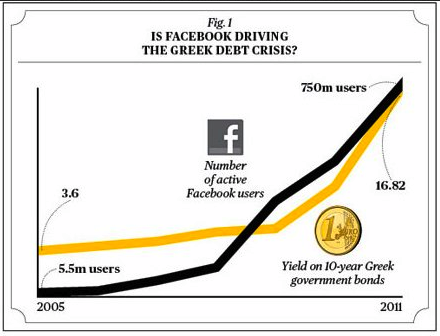 The figure below is instructive. It shows that the oil consumption in the United States per person was over ten times larger than a person in China and 29 times greater per person than someone in India. If the Chinese population had the same oil consumption rate as people do in the United States, (per person) the Chinese would need every drop of oil the world produces. Certainly there will be ups and downs in both supply and demand over time for many of the reasons Dr. Perelmann noted, but the overall picture is one where the world will be hard pressed to have supply keep up with demand. The figure below shows this very nicely. In 2008 when demand essentially equaled supply, i.e., when there was effectively a zero margin, oil prices hit $147/barrel, sending the world into what is labeled as the Globe Financial Crisis. Unlike past oil related recessions, this one was not caused by a political initiator. I call this a physically initiated oil recession and it is profoundly different from past oil-related recessions. Not only does it start differently, it ends differently. There is no “National debt free “ stimulus program this time because oil prices have remained high, unlike previous oil recessions. 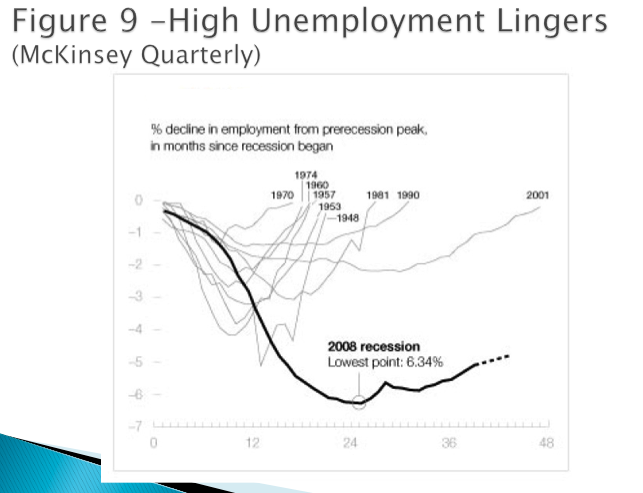 This lack of a free stimulus program means that the recovery is far different, as shown in this figure (below) on high unemployment. This time is different because we can’t just turn up world oil production once the political crisis of the day has ended. This time it is different and the old economic models and predictions now have to change. Further, as the economy picks up, so will the demand for oil moving us once again closer to the zero margin situation like the one we went through in 2008, but we would go into this one in a much weaker condition. Specter’s argument, like Bruce Dale’s (about which I will have more to say another time), rests to a large extent on the common error of confusing correlation with causation. That is not to say that oil prices are necessarily unrelated to various concurrent indicators of economic health, such as income or unemployment. But the fallacy of equating correlation to causation hinges not only on mere coincidence but also on the real possibility that the two correlated factors may be driven by a third or even more, other forces. 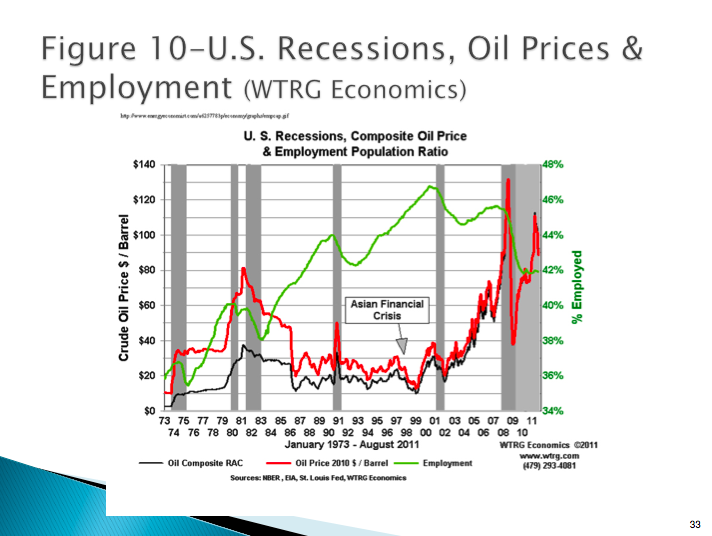 For instance, Specter’s Figure 10 shows a spike in oil price around 1991, followed by a decline in US employment. As we know, war in the Persian Gulf region threatened oil supplies and caused a rise in price. Several other things happened around the same time, however. The US and its allies defeated Iraq, and the Soviet Union collapsed — not unrelated events. In the wake of the resulting victory and end of the Cold War, the US greatly cut defense spending. The result was to depress the US economy in the near term. The so-called ‘oil shocks’ of the 1970s had similarly if not even more complex causes and effects. The Nixon administration’s decision to abandon the gold standard and allow the value of US currency to ‘float’ had, among others, the effect of diminishing the purchasing power of the dollars earned by oil producing countries. Resentment over that was compounded by US support of Israel in its wars with neighboring states. The impact of an Arab oil embargo was aggravated by US price controls. And, as noted by Taibi among others, the oil price spike in 2008 was caused by speculators — a symptom of instabilities in the broader global financial system that had already been sliding toward an ultimate crisis. Notably, even as a festering war between Iran and Iraq from 1980 to 1988 posed ongoing threats to Persian Gulf oil supplies, the price of oil fell and remained depressed. So a circumstance that seems similar to previous “oil shocks” did not have similar consequences. Political upheavals, financial crises, wars, natural disasters and other critical events may well cause sharp swings in the price of oil. But such events usually also cause comparable instability in the demand and prices of other commodities and financial products, interest rates, and other economic parameters as well. These many ripples may congeal to have a dramatic economic impact, or they may cancel out to have little or no effect. There is still considerable debate among analysts about what caused the Great Recession. The best, most realistic assessment seems to be that multiple sources of instability in the global financial system coalesced to cascade into what became a chaotic breakdown. I agree with Specter to the extent that, looking at long-term trends, population and economic growth challenge the world to expand energy supplies and also to use energy more efficiently. But both are happening. The EIA projects that the US, which imported 60% of its oil as recently as 2005, will need to import only 32% in 2014. A growing share of those imports have been coming within the NAFTA community, chiefly Canada. If the Keystone XL pipeline is not blocked, that share from a secure source will grow even further. As Brad Plumer reports, part of that reduced dependence has resulted from greatly increased domestic production from fracking and horizontal drilling, and a substantial part also from increased efficiency. Whether production and efficiency can advance fast enough to meet rising economic aspirations is an open question. I and others advocate efforts to accelerate the creation of innovations that can make energy more abundant and cheaper.